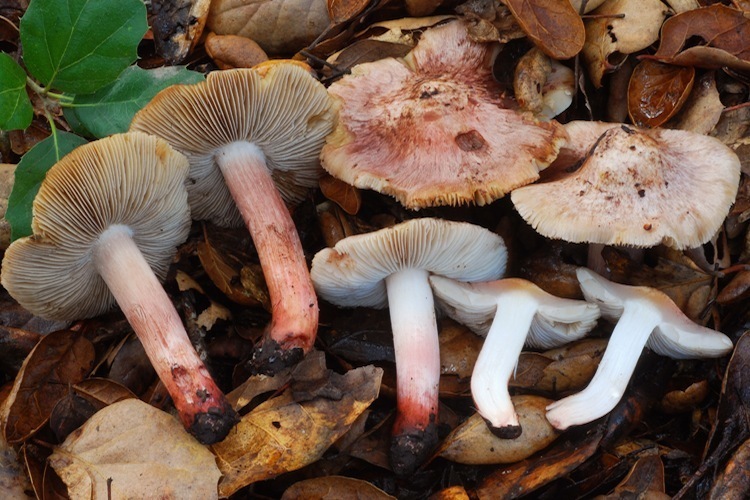 Approximately 13 species in Santa Cruz County. 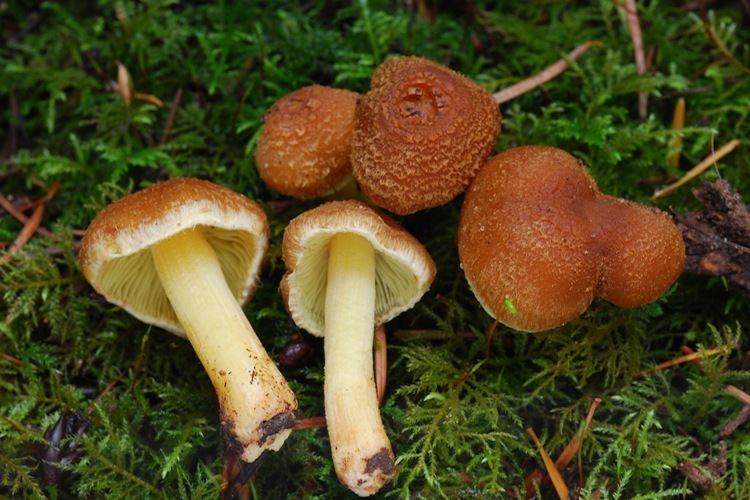 Inocybe are often spoken about with gritted teeth, or hands thrown up in the air in frustration. 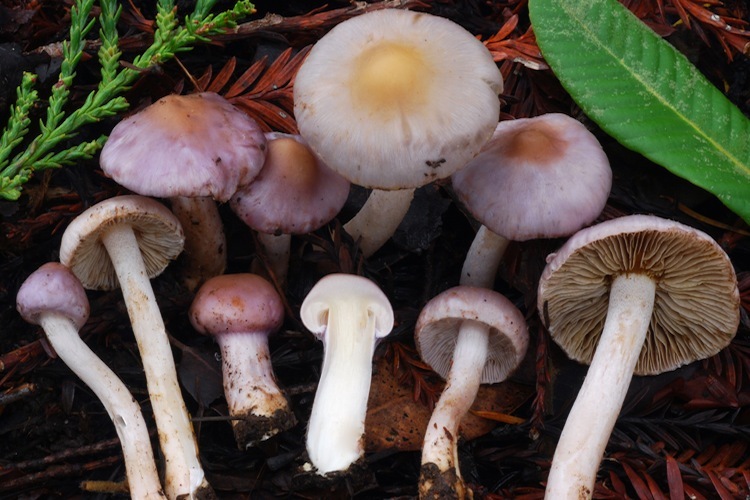 These are difficult mushrooms to identify, for a number of reasons. 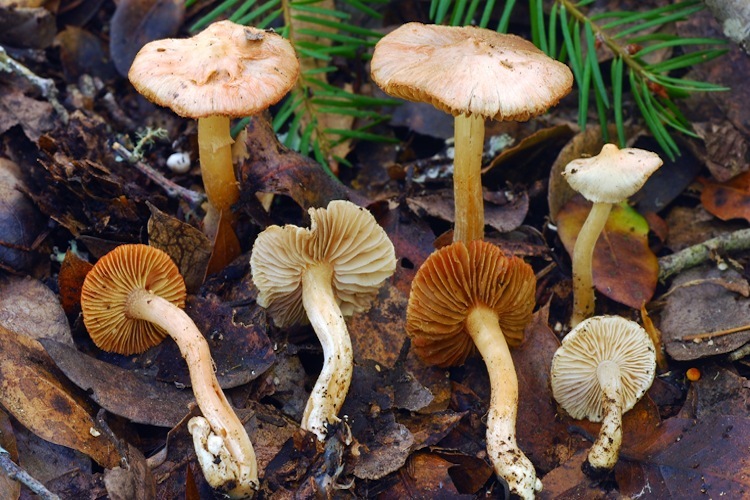 But they are rewarding and interesting in their own right, and are certainly not impossible to learn to recognize with effort and time invested in the lab and in the woods. 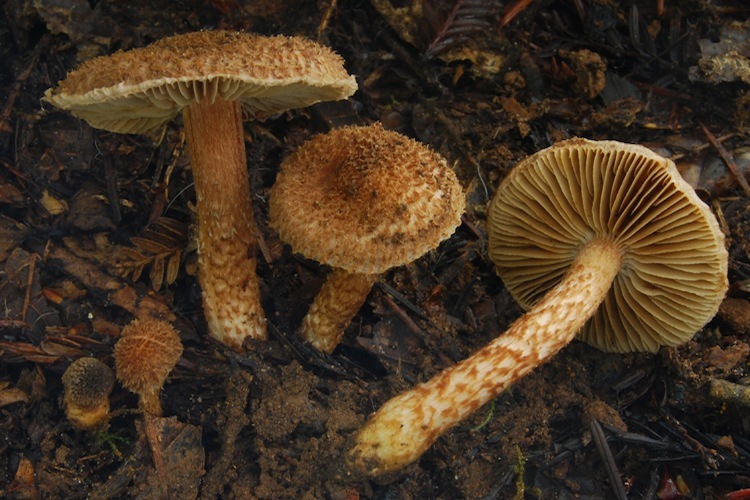 The small to medium-sized fruitbodies are recognizable by their silky or slightly scaly radially-fibrillose caps, often scurfy stipe surface, partial veil sometimes present in the form of an evanescent cobwebby veil, and often strong odor (like green corn, spermatic, or sometimes sweet). 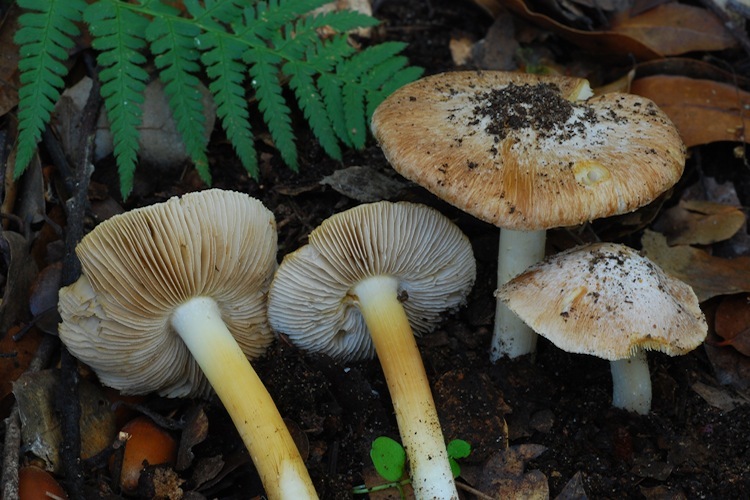 Ecologically, this is an extremely important genus, since all known species are obligately ectomycorrhizal. 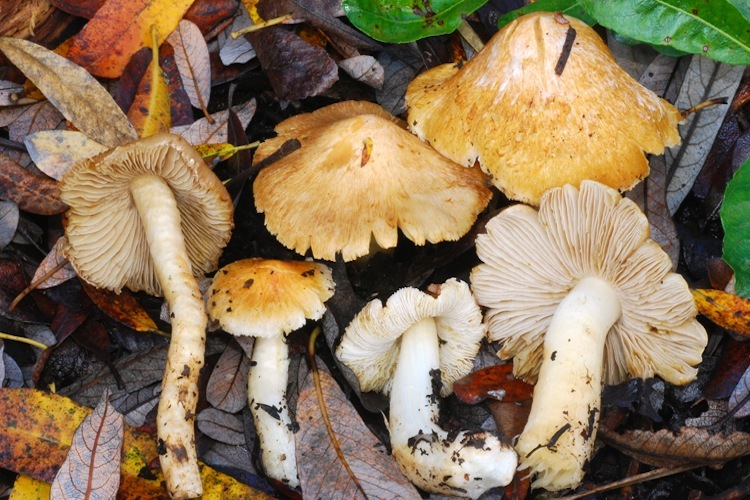 Both hardwoods and conifers host Inocybe. This genus is highly diverse in the western United States, and species richness figures for our area are certainly underestimates. Dr. Brandon Matheny, Nhu Nguyen and others continue work on this genus, and new names are slowly emerging for our western taxa. 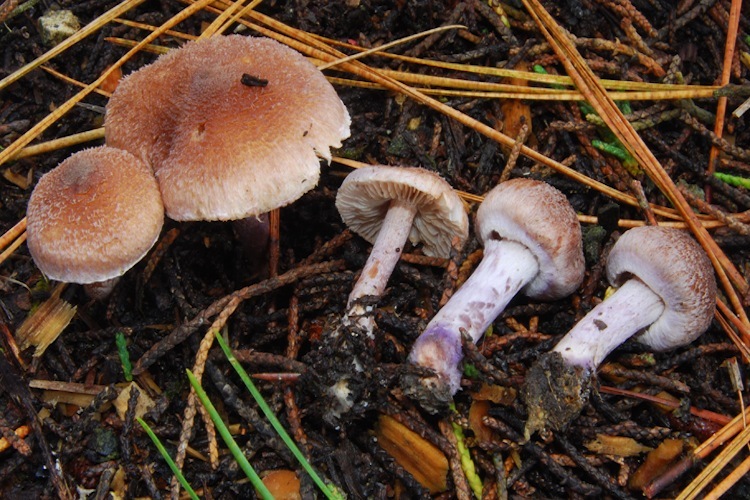 Important identification characters include overall coloration, odor, and microscopic characteristics - especially shape and size of the spores and metuloid cystidia, as well as structure of the pileipellis, etc.